Hedgebrook is a residency for women writers on Whidbey Island, in Washington State. 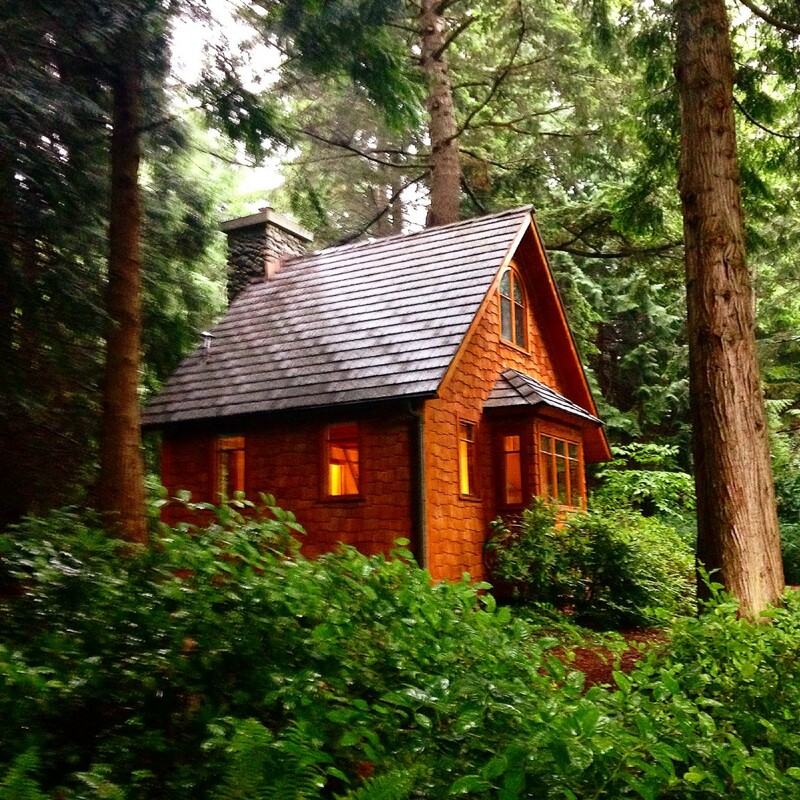 Legendary for giving writers the peace and space and community they crave, Hedgebrook also awards writers little cottages where they spend time writing to their hearts’ content. Once a year, Hedgebrook hosts a Screenwriter’s Lab where two master writers, mentor five screenwriters from around the world. I was a finalist for a spot this year, and when they wrote to break the news that I wasn’t chosen, they mentioned that I was an alternate and would be called if there was a cancellation. Close-but-no-cigar is supposed to be bad thing; but I kind of loved being an alternate. It was still an honor, and even though the chance that I’d be called was slim, I needed to do a few things in case I was. First, I put aside the screenplay I submitted for the Lab, in hopes of tackling it with fresh eyes and the help of a mentor. In the meantime, I started writing in the voice of a character that had been waiting in the wings, while I’d been consumed with my screenplay. Pretty soon, I was in the first blush of a love affair with — of all things — a novel. Thank you, Hedgebrook! I wanted to make a list of what to bring, just in case the opportunity came a-knocking. This entailed reading a few artist residency blogs. Recipients described the peace and quiet, the space, the blissful lack of internet and phone access. They talked about long walks in nature. They described being relieved of jobs, of errands, of the hustle and bustle of daily life. They described reading by the fire, eating good food, and talking to other writers. There was a reverence for the big ideas that came to them and their prolific artistic output; but not a word about page count or goals or discipline. I made the calculation that if I were called, it would be over Thanksgiving weekend. The Lab started Monday (today), and I figured that anybody who had to cancel, wouldn’t do so unless they absolutely had to. (I hoped that if anyone had to bow out, it would be because of something wonderful. Like, they’d just sold their project to Tom Hanks, or their grandchild was born a week early.) But those things must not have happened, because the call to step in, never came. Last night I thought about all the lucky writers converging on Hedgebrook. Sigh…it just wasn’t my time. No apple news. No Youtubes of Stephen Colbert and Seth Meyers. No This Is Us or Saturday Night Live. No Facebook. No Googling research questions. No signing my kids up for the SATs. No doing any of the above on my phone. Also, no ping-pong texting with my friends about nothing in particular. I’ll keep my phone on so that people can reach me in an emergency. And also…just in case Hedgebrook calls! Lots of walks in the rain. Lots of forest and lake walks around my neighborhood. These outings will be more to help me think than to make me sweat. Three meals a day that include coffee and lovely fresh vegetables. I’ll buy brown eggs so I can pretend they come from resident chickens! I’ll look for some flowers to put on my desk. I’ll take breaks to make wholesome meals, but I won’t let this overwhelm the week. I’ll simplify the shopping to one trip. I’ll minimize prep and cooking. Easy peasant food sounds right. Soup. Salad. Bread. I’m going to minimize chores and errands. We hosted Thanksgiving so the house is clean. I’ll just let it be this week. This one was going to be tough even if I got to go to Hedgebrook. After Thanksgiving, Christmas comes like a locomotive. The urges to go shopping, to internet shop, to decorate, to socialize, and to bake are tremendous. How will I make granola for all the teachers and neighbors and friends?? I’ll need to chill out. One of the blogs I read said that the best thing to pack for a residency are your pajama pants, because this is what you wear most of the time, while you write. I have a whole category of favorite writing clothes: A cardigan with long sleeves that pull down over my hands. Soft jeans. My Uggs. A wrap that warms my shoulders. They were set aside for Hedgebrook, but I’ll be rocking my loungewear here in Seattle this week! In order to increase my peace of mind, I’m turning off my near-constant companion: NPR. It feels a little irresponsible with the world in crisis. But it’s just nine days. I’m writing this listening to Pandora Nature Tracks. Piping in rain sounds on a rainy day seems a little dumb, but it’s calming compared to the music I usually listen to. (See you in a few weeks, Katy Perry and Louis Fonsi). Even the most reclusive residency recipients talk about feeling connected and nurtured by other artists. My writing group just happens to be coming over this morning. A perfect kickoff to my Phantom Hedgebrook! I’m going to look (in a newspaper) for a few readings and/or author appearances to attend during my residency. It won’t be the same as the long conversations over gourmet dinners that are so beloved at Hedgebrook, but I’ll do what I can, to connect and find inspiration here at home. Is there anything I’m forgetting? I’ll be climbing back onto the internet on December 8th to report on how my phantom residency worked out.